Point-of-care (POC) testing involves performing a diagnostic test outside of a laboratory that produces a rapid and reliable result, aiding in identifying or managing chronic diseases and acute infections. These tests are waived under the Clinical Laboratory Improvement Amendments (CLIA) of 1988 and, just like other CLIA waived tests for glucose and cholesterol, pharmacists can charge patients directly or possibly bill third party payers. Point-of-care testing provides an excellent opportunity for community pharmacies to enhance revenue by expanding patient care services while improving health at the patient and population levels. It allows for the screening and treatment process to be completed during a single encounter, thereby improving access to care, counseling, and patient outcomes. By providing accurate data on disease prevention, point-of-care testing can increase public health agencies’ ability to reach targeted populations. Adding to the utility of point-of-care testing, CLIA-waived platforms exist that allow for an expansion of medication therapy management programs. Testing for serum creatinine, serum electrolytes, TSH, INR, and other labs may allow pharmacists to better assist patients to optimize medication therapy and avoid adverse drug events. Point-of-care testing is predicted to exceed immunizations as a driver of revenue for community pharmacies, according to research from Deloitte. Influenza- Causes 12,000- 50,000 deaths annually in the United States. Rapid testing for influenza A and B allows for accurate and timely treatment, as patients only have a 48-hour window to receive critical antiviral therapy. 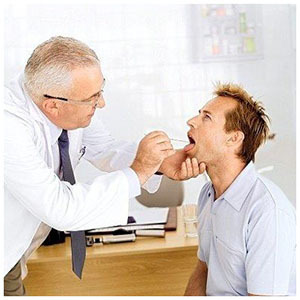 Strep A- Only 10-15% of adults with acute pharyngitis—a sore throat—test positive for strep, yet up to 75% are prescribed antibiotics. The majority of pharyngitis cases are viral and self-limiting in nature and could be symptomatically treated with OTC products. Combating antibiotic resistance should be a priority for all pharmacists. HIV- There are an estimated 200,000 undiagnosed HIV-infected individuals in the United States. It is recommended that anyone who is sexually active or engages in high risk behavior consider screening. Hepatitis C- Of the 3.5 million people infected with HCV in the United States, about half are unaware they have the virus. It is recommended that all persons born between 1945 and 1965 be screened. Lipids- 8% of Americans have undiagnosed dyslipidemia. Cholesterol screenings allow pharmacists to identify patients who would benefit from statin therapy. A1c- Just over half of the 29 million Americans with diabetes achieved an A1c < 7.0% in recent years. Monitoring patient values may help direct counseling and therapeutic management to improve glycemic control. INR- Monitoring anticoagulation therapy can assist pharmacists in making appropriate therapy evaluations and recommendations for reducing anticoagulation associated bleeding and clotting risks. A comprehensive list of CLIA-waived tests is available at the U.S. Food & Drug Administration website. A list of available CLIA-waived testing manufacturers and CPT codes is provided at the Centers for Medicare and Medicaid website. How Does It Work in My Store? What are the steps to take to begin to offer point-of-care testing services? Please note that participation in this space is dependent on state specific requirements such as pharmacy practice acts and collaborative practice agreements. The Centers for Medicare & Medicaid Services (CMS) requires a certificate of waiver to perform these point-of-care tests in a CLIA-waived setting. This CLIA application form, CMS-116, should be completed and mailed to the state agency for which your pharmacy resides. Additional information for obtaining a CLIA Certificate is available at the Centers for Medicare and Medicaid website. Several things should be considered in preparing your pharmacy to offer point-of-care testing services. What services are my competitors providing? What tests will I administer? What training do my pharmacists and other team members need? How will the results be provided to the patient or physician? What additional resources will I need for counseling patients? How will I advertise these services? How can I best deploy ancillary staff to assist in offering this service? Will I charge patients the full cost or seek third party reimbursement for the test? Will patients receive a prescription medication following test results? Can I treat patients through a collaborative practice agreement? In addition to completing a CLIA-waiver, pharmacies must pay applicable certificate fees every two years. Most liability insurance policies will cover appropriate legal practice in terms of dispensing medications, delivering immunizations, and performing point-of-care testing with follow-up-care. It is imperative that manufacturer test instructions are followed and all CLIA regulations are obeyed. Pharmacies currently providing vaccinations should already have policies in place regarding record keeping, needle-stick prevention, blood borne pathogen training, and proper disposal of sharps and tissue samples. To prevent liability, ensure a protocol is in place that defines point-of-care testing procedures. Community pharmacists across the nation are offering point-of-care testing services to improve patient access to care and enhance pharmacy revenue. Explore the pharmacies listed below to learn more about their programs. Want to learn more? Review the research published on providing point-of-care testing in the community pharmacy setting as well as other resources and companies who assist community pharmacies with point-of-care testing services.